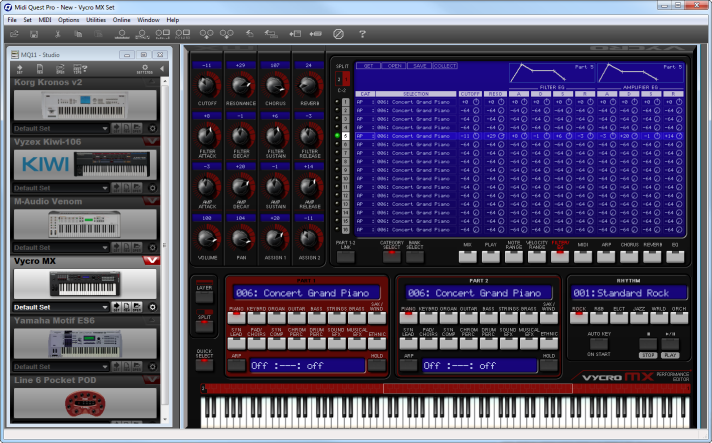 Midi Quest 11 is the only multi-instrument editor/librarian software capable of managing your studio's MIDI instruments and other devices as a fully integrated system. Midi Quest supports over 700 instruments from over 50 different manufacturers and helps you to get the most from your studio's MIDI hardware. Get all of the details on what Midi Quest can do for you here.